Lookalike Audiences are a way to reach new people who are similar to your existing customers, fans, or leads. You can base a Lookalike Audience on a variety of sources, such as people who like your Page, or visited your website. You can also create a Lookalike Audience based on an existing Custom Audience – this is a great way to expand your reach and to drive new qualified traffic to your website. Here are just a few of the ways you can use Lookalike Audiences. 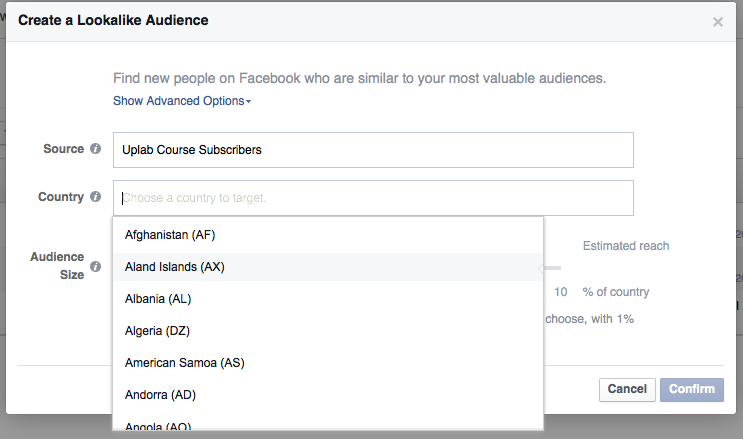 Facebook looks for commonalities between the people in your Custom Audience and then finds similar people that “look like” your audience in the country you select. 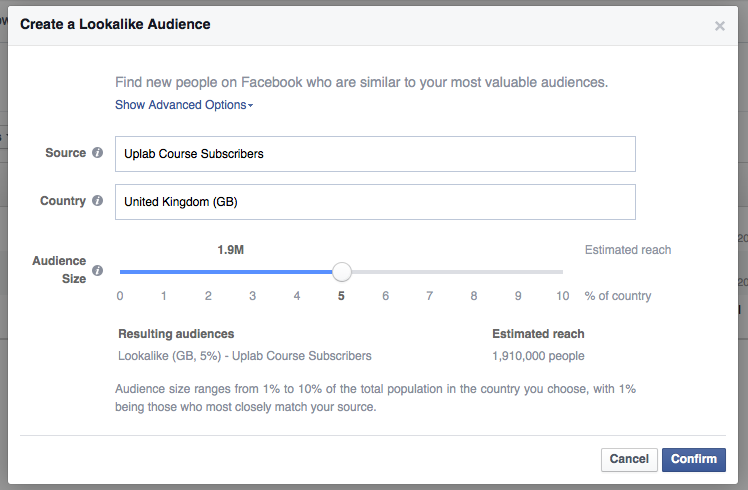 You can choose the size of the Lookalike Audience (from a range based on the number of users in the country you’ve chosen) during the creation process. Smaller audiences more closely match your source audience. Creating a larger audience increases your potential reach, but reduces the level of similarity to your source audience. 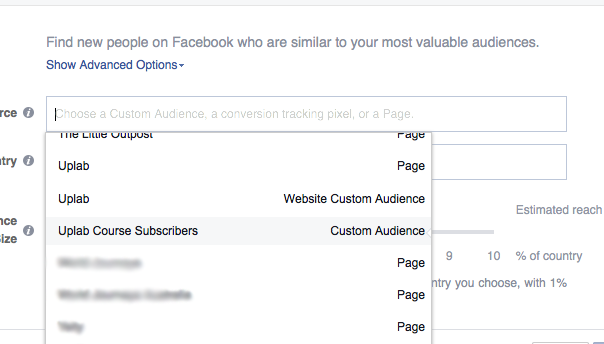 Here, you’ll be able to select a Facebook Page, Conversion Pixel and Custom Audience. For the purpose of this course, lets choose Custom Audience. Choose how similar you want your Lookalike Audience to resemble your Custom Audience. Audience size ranges from 1% to 10% of the total population in the country you choose, with 1% being those who most closely match your source. The higher the percentage, the bigger the audience size. Click Confirm. Your Audience will be ready to use immediately. If, however, you make any changes to your Custom Audience, it will take up to 3-7 Days for these changes to take effect in your Lookalike Audience.